appears to have taken inspiration from Kate Middleton and performed her own style re-run although she chose her wedding dress to do so. The actress, who wed James Righton in a low-key ceremony in France on Saturday, is believed to have worn a Rodarte dress that she’d previously showcased at a BAFTA event in 2008. For her special day over the weekend Keira Knightley stayed true to a ‘no-frills’ approach so much so she decided to wear the white gown already in her wardrobe as her wedding dress. But it was a choice well made as the star stunned pairing the short number with a Chanel jacket and ballet pumps. To continue the relaxed look over the celebrity bride dressed her hair with a headband of pretty pink flowers and wore sunglasses. The star’s wedding dress made its debut five years ago at a pre-BAFTA dinner, although on that occasion she wore black tights and pups for a more winter-appropriate look with then boyfriend Rupert Friend. For Keira Knightley and James Righton’s nuptials the sun was shining over the small town of Mazan, just outside of Marseille. Following the ceremony guests (who also stayed true to the relaxed theme in flip-flops and casual clothes) returned to the Chateau de Mazan to toast to the couple before heading to the Knightley family’s £3million estate nearby. 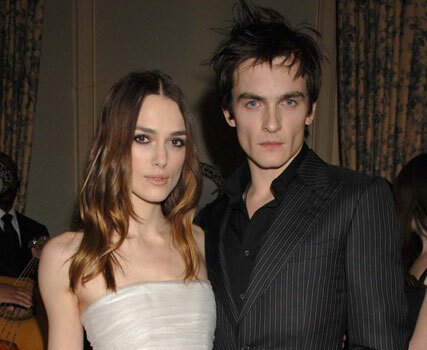 What do you think of Keira Knightley recycling her wedding dress? If you loved one item in your wardrobe, would you do the same? Let us know below.